The children’s book division of Mumbai headquartered Navneet Education Ltd – the pioneer in children’s books and educational products – has recently launched Mask Mania, Style You Nails & Neon Colouring books. These futuristic books are a combination of fun, fashion and magic which can also be perfect for gifting. Mask Mania: Age: 4+, 6+ & 8+: This collection has different themed Ready to Wear Mask books including Funny Folks and My friendly animals books with ready to wear mask, and six other – Super Heroes, Carnival Fun, Pretty Princesses, Jungle Tales, Mysterious Monsters and Spooky Zombies mask books which have to be first coloured which will then convert into mesmerising masks. 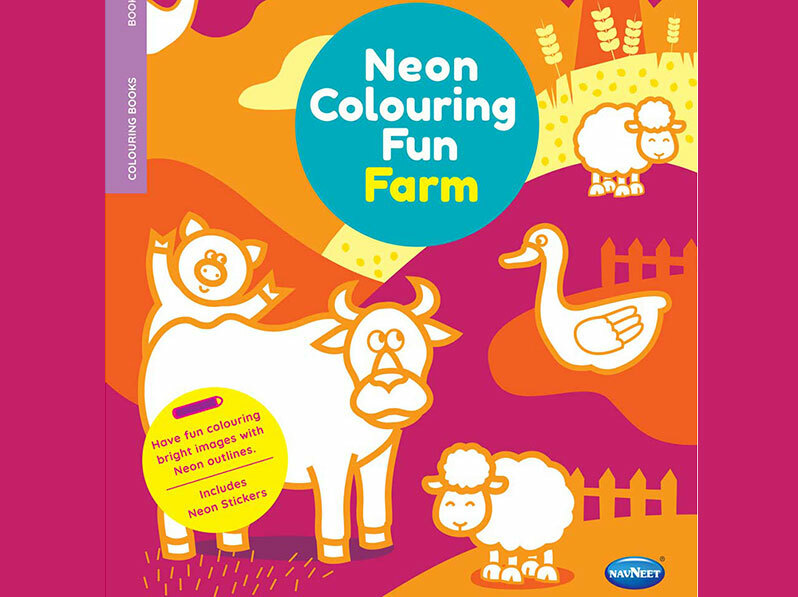 Neon Colouring: Age: 2+: Experience magic with these neon colouring books. Bright and vibrant colour makes colouring even more fun. The book features bright and bold designs for younger kids along-with neon sticker sheet as an added feature to this product. Style Your Nails: Age: 8+: Futuristic, fashionable, dazzling and pleasing, these chic nail designs are alluring to the eye and a great inspiration to almost any look. With this Nail Art Book at hand, offering plentiful creative ideas, anyone can celebrate every occasion by adorning your nails like never before. Includes: Cute nail art for pretty nails, Exotic designs for classic nails, crazy art for funky nails and Trendy icons for chic nails. We have a range of 100+ nail art sticker books, which are individual and theme based both. Comments Shailendra Gala, MD, Navneet Education Limited, “Navneet has always looked forward to creating an impact on the different areas of a child’s growth and also believes in catering to the needs of the child. We not only conceive educational books but also believe in introducing fun, creative books which also focus on keeping children’s interest in mind. We look forward to creating more such books in the near future”. Promoted in 1959, Navneet Education Limited (formerly Navneet Publication India Limited) is an educational syllabus-based content provider in print and digital media, manufacturer of educational paper and non-paper stationery products and publisher of general and children’s books.